UNI Women in Business is proud to host the Women of UNIBusiness Hall of Fame, in partnership with the UNI College of Business Administration. In the first years of the Hall of Fame, we are focusing on women who put the initial cracks in the glass ceiling. If you know a woman deserving of this honor, please email us her information at uniwomeninbusiness@gmail.com and we will include her in our consideration for the next class of inductees. Jean Trainor graduated from UNI with a degree in accounting in 1975. Like many of her classmates, she started her career in public accounting and then rose through the ranks within John Deere Community Credit Union, now known as Veridian, eventually serving as the organization’s CEO for more than two decades. Under her leadership, Veridian grew to be the largest credit union in the state, growing its membership by 333%. 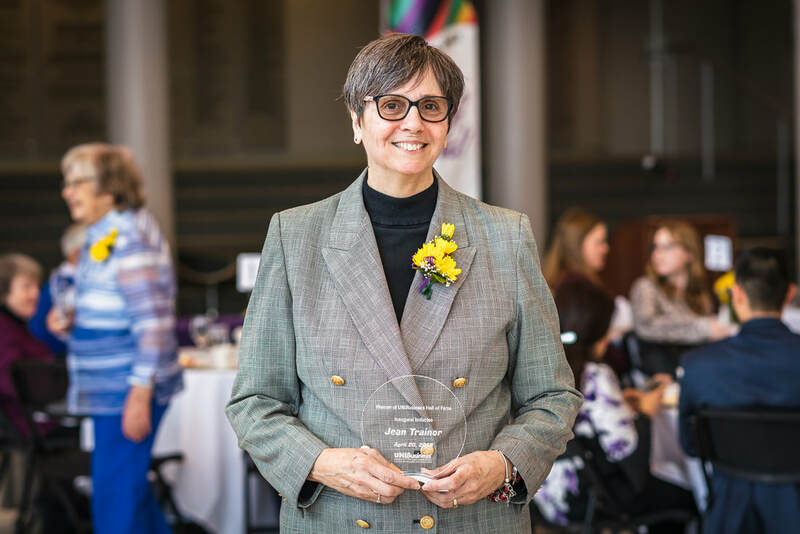 She also became a champion for inclusion, which became a cornerstone of Veridian’s culture, and she has worked alongside business leaders in the Cedar Valley and beyond to help them implement inclusive practices in their own organizations. Jean stepped down as CEO of Veridian in 2015, but she didn’t retire. Instead, she has recalibrated, and taken on the role of Chief Inclusion Officer for the not-for-profit organization Inclusion Connection, working alongside her son Nate. Together they work to promote inclusive communities that live, learn, work and play together. 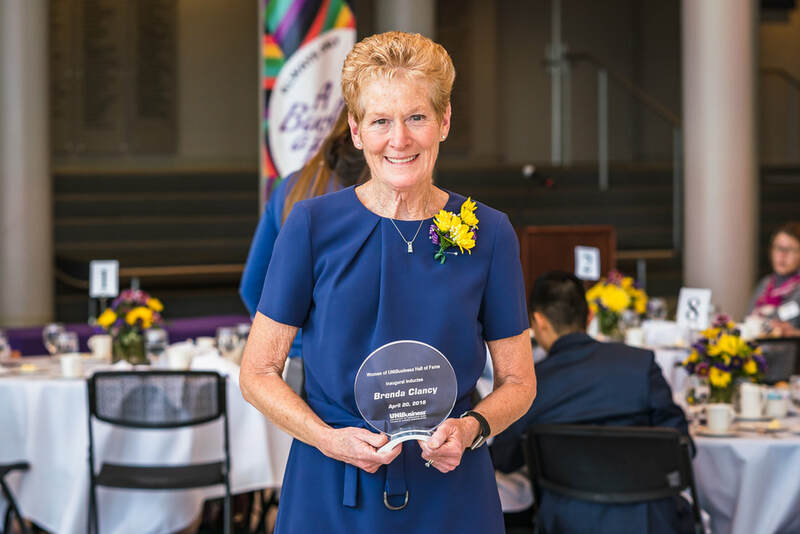 Brenda Clancy built a solid foundation at UNI that prepared her well for success in various aspects of business. After completing a degree in accounting, Brenda began her career as an entry-level accountant with Transamerica. A wise decision for her first job out of college, as she rose through the ranks of the organization, holding several leadership positions within the finance and accounting function, including controller, Executive Vice President of Information and Finance, and Treasurer. She eventually shifted her focus to Operations, serving as Chief Operating Officer for Transamerica Corporation. Throughout her career she was involved in numerous acquisitions, business integrations, and reorganizations and worked closely with the Dutch parent company, Aegon NV. She served as the Global Chief Technology Officer for Aegon during the last three years of her career. Brenda is now retired, but is continuing to leverage her experience and education in business by serving as a member of the Board of Directors for United Fire Group and UnityPoint Health. She also volunteers her time to the Xavier Foundation, UNI Foundation, and serves as a mentor to a UNIBusiness student through the Professional Readiness Program. Mary Pech remembers clearly being referred to as an “office girl” early in her career - and being paid accordingly. Having already earned a BA in Management from UNI in 1972, this experience motivated her to further develop her skills and return to UNI to earn her MBA in 1979. A wise choice, as she went on to have a successful 26-year career with AEGON USA Investment Management, the investment subsidiary of AEGON USA, retiring as a Vice President in 2009. Her career took her around the world, giving her exposure to new cultures and opportunities she never dreamed of while sitting in her business classes in Seerley Hall. 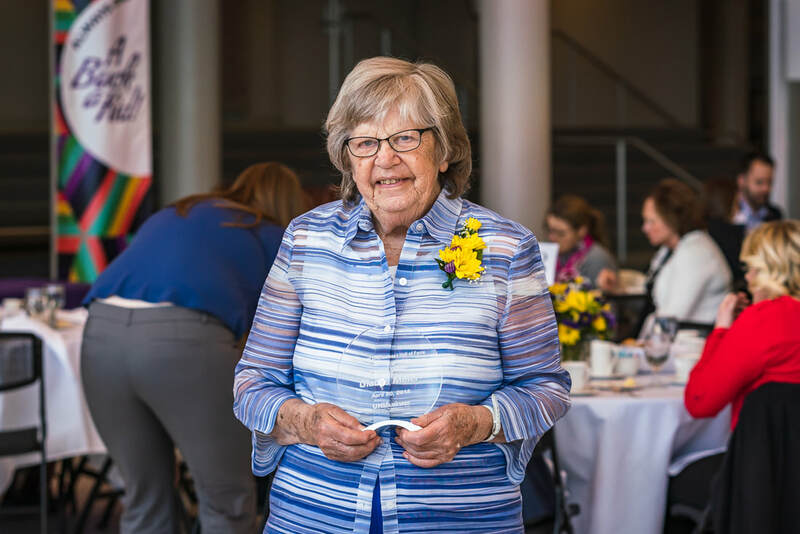 She remains active in retirement, doing volunteer consulting work, serving on the Belle Plaine City Council and the Benton County Community Foundation, as well as serving on the UNI Finance Advisory Board. Patricia Fickess was fortunate to grow up in a family supportive of women - she was often told there was nothing she couldn’t do. Perhaps she took this as a challenge, because throughout her life, she has proven it true. In addition to raising her own children, she took in her sister’s children when she passed away due to breast cancer. With six children at home, Patricia attended UNI on a full ride scholarship, taking a full load of classes each semester, and an overload of 24 credits in her final semester. After spending several years teaching in Waterloo, Patricia worked for Viking Pump before purchasing her own pump company in 1986, which is now the largest female-owned pump distributor in the United States. Over and over again, Patricia Fickess has proven, there’s nothing she can’t do. Lois Iseminger followed the footsteps of many Iseminger women by attending UNI. She graduated in 1971 with a degree in Accounting and earned her CPA designation. Her MBA is from the University of Chicago. She built a career in public accounting with auditing, taxation, and quality control, as well as, the owner/operator of Iseminger & Associates, an entity that specialized in bookkeeping for small businesses and not for profit organizations, in Chicago. Through her work as an accountant, she discovered a love of art. Lois spent Saturdays doing accounting work at a Chicago art gallery. As she looked up from her work, her eyes would rest on the pieces of art around her. She soon began acquiring art objects and building an impressive gallery of her own. These were displayed in her home and office. Many of these pieces are now displayed throughout Curris Business Building. Lois donated her collection to the UNI Permanent Art Collection in 2010. Lois considers that the “black-and-white” stereotype of accountants is an injustice to the profession. She describes accounting as “dynamic, energetic, and constantly evolving.” Lois is a testament to the value of living an enriched life - and that accountants are anything, but boring. As a child, Laura Huisman remembers reading books showing boys growing up to work in business. She said to herself “I want to do that!” - so a career in business is where she set her sights. A leader from a young age, Laura served as president of the Associated Women Students organization while at UNI. Graduating in 1969, Laura was one of the first female non-teaching accounting graduates. Laura built her career on the foundation laid while at UNI, going on to have a successful career in corporate, non-profit, and government accounting, earning her MBA and CPA designation, and retiring as Director of Finance and Controller for L-3 Communications. Looking back, she credits her career success to a strong commitment to integrity, working at the highest level and standards throughout her career. Gladys Meier earned a business teaching degree from UNI in 1954, and went down the traditional path of a young teacher at the time. 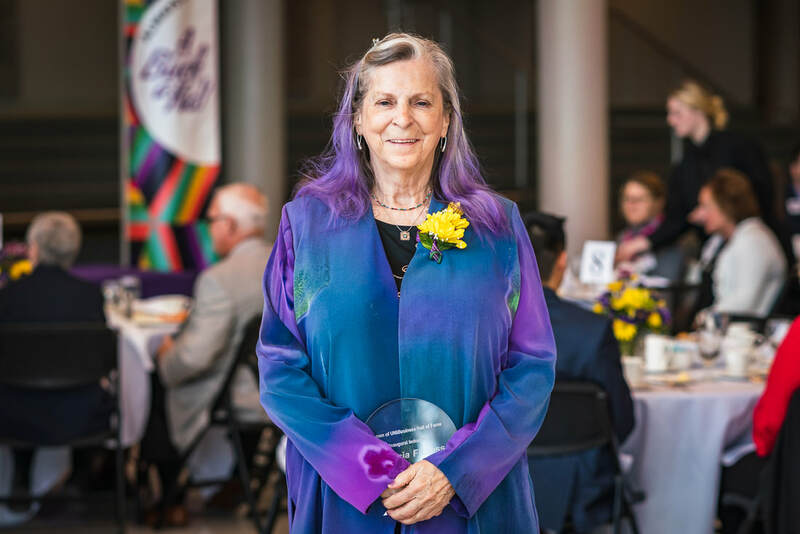 She spent time teaching students in Iowa communities you are probably familiar with - Traer, Decorah, and Burlington - in addition to time teaching in Colton, California. She enjoyed teaching - especially teaching typing - but in 1963, she took her career in a new direction, taking a position with insurance company, Equitable of Iowa. In her role, she was tasked with performing math calculations - she calculated the cash value of policies being offered, loan values, and any other mathematical calculations the company may need. Shortly after starting her new job, Gladys was one of several women given an aptitude test to see if they may be a good fit in a new role: programming. A “Hidden Figure” right here in Iowa, Gladys was chosen, along with two other women, to be trained as programmers. She spent the rest of her career in the programming field, retiring in 1990 as a Senior Programmer. She’s remained an active member of her community volunteering with AARP Tax Aides and in her church community. 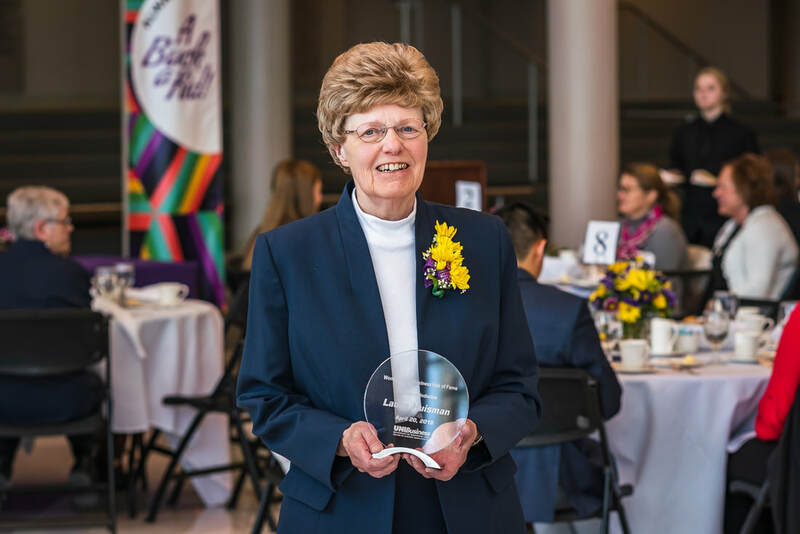 In celebrating the women who have made an impact on the UNI College of Business Administration, we feel it is important to recognize the first woman to teach a course in business. Long before the College of Business Administration was established, UNI offered courses in Commercial Education, the precursor to the Department of Business Education. Courses offered included topics we would see in Curris today, including accounting, marketing and business ethics, but also topics that haven’t been offered for decades: typing, secretarial training, and shorthand. Alice Hoskin, a 1915 graduate of Iowa State Teachers College, was hired as the first female instructor in Commercial Education, and taught primarily shorthand and typing during the 1916-1917 academic year. Alice Hoskin Salter would later lead the Commercial Department at Baltimore High School, before earning a PhD from Cornell University in New York in 1939. She taught sociology at Coe College before retiring in 1955. 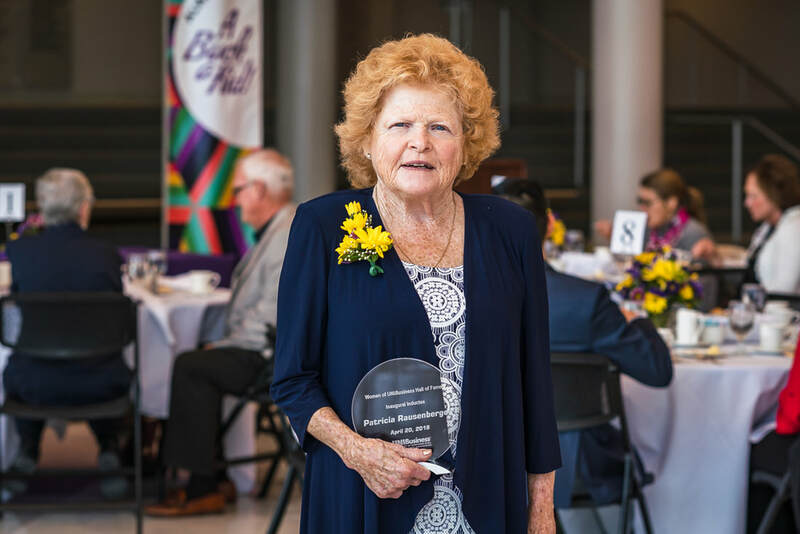 While Alice is no longer living and able to accept this honor, and we have not been able to get in touch with her family, we are honoring the early impact she made on the UNI College of Business Administration.